International Mission Board President David Platt has announced a transition team that will focus on the practical needs of missionaries who accept the voluntary retirement incentive recently offered to personnel who are at least 50 years of age with five years of service. The retirement incentive is the first phase to reduce IMB staff and field personnel by 600 to 800 people in response to revenue shortfalls. See related story. The goal of the plan, IMB leaders shared, is to offer as generous a voluntary retirement incentive as possible, while honoring years of service and providing a smooth transition for the personnel. Clyde Meador, IMB’s executive advisor to the president, is leading the transition team. He noted most members of the team have significant field experience and have made the adjustment from international service to life in the U.S.
Meador said Southern Baptists already are responding with offers of assistance. IMB has received offers of housing, employment opportunities, vehicles, counseling and other practical expressions of support from individuals, churches, associations, state conventions, WMU, seminaries and other partners. The transition team will work to pair specific needs with the offers of assistance from Southern Baptists that the team is receiving. Georgia Baptists have announced they are reinventing themselves with a new focus, new organizational structure, and new name that better communicates their mission and identity. The new direction was rolled out to state missionaries Sept. 14 at the Baptist Missions and Ministry Center in Duluth and shared with the Georgia Baptist Executive Committee Sept. 15. The focus emerged after nearly a year of study that centers around eight objectives ranging from involving the next generation to better equipping churches and mobilizing people to be more involved in ministry and financial support. Perhaps the most significant development is changing the name from the Georgia Baptist Convention to the Georgia Baptist Mission Board (GBMB). “We operate under two names. Our corporate name, according to our 1830 charter, is The Executive Committee of the Baptist Convention of the State of Georgia. But we are known more commonly as the Georgia Baptist Convention,” Executive Director J. Robert White explained to both groups. Technically, the Georgia Baptist Convention only exists for two days when messengers gather to conduct business each November. Neither the corporate name or the Georgia Baptist Convention name do an adequate job of explaining what the state convention actually does, White explained. The GBMB will move toward field-based personnel, employees and practitioners in local churches. The move will bring the agency closer to the churches without adding staff positions. In this scenario the agency will contract with experienced church staff members and laity who will extend the Board’s ministry with minimal overhead. These individuals will work alongside state missionaries to perform ministry close to where the need is identified. A suggested contract would be $1,000 a month for 12 months or less. With more employees disbursed across the state there would be less demand for the current headquarters building, which could be sold at a premium from its original construction cost. The sale of the property would then free the Board to purchase a much smaller facility to primarily house administrative staff. The Baptist Missions and Ministry Center, which sits on a 43-acre tract on Sugarloaf Parkway in the heart of Gwinnett County, was dedicated on Sept. 12, 2006. The $42-million project—$23 million for the building, $10 million for the land, and $9 million for technological innovations—could be sold at a premium in a location that is seeing a steady rise in property values, White noted. Proceeds from the sale could be invested with the Georgia Baptist Foundation to provide endowment for ministry for decades to come. The building’s $25-million debt was retired in March through a gift of the Georgia Baptist Health Care Ministry Foundation. A reorganization of the Florida Baptist Convention staff that reduces the number of employees statewide by 47 percent—from the 115 currently employed to 61 employees—was approved by the State Board of Missions, Sept. 18 at Lake Yale Baptist Conference Center. The reorganization and downsizing was the fulfillment of a promise made by Executive Director-Treasurer Tommy Green after being elected to the post. He stressed the need to have a responsive, lean missions organization that is decentralized, regionalized and personalized. The drastic downsizing was done with the consideration of sending 51 percent of the proposed 2016 Cooperative Program Budget to the Southern Baptist Convention—a nearly 10 percent increase—with hopes to “put more missionary families on the field,” he said. The new structure is comprised of five major program groups—Executive Director-Treasurer Office, Next Generation, Regional Catalysts, Mission and Ministries, and Support Services—reflecting an effort to streamline and decentralize the convention staff to more effectively provide ministry support to local churches and associations. The reorganization includes 28 board-elected (ministry) staff; and 33 administrative approved persons who serve as ministry assistants and support personnel. The 33-member support team includes 13 employees at Lake Yale Conference Center in Leesburg and a caretaker for the Blue Springs Conference Center in Marianna. Four new staff persons were elected to fill vacancies within the restructured organization. Jeffrey Singletary of Tampa and Wayne Briant of Sarasota were elected to serve as regional coordinators. 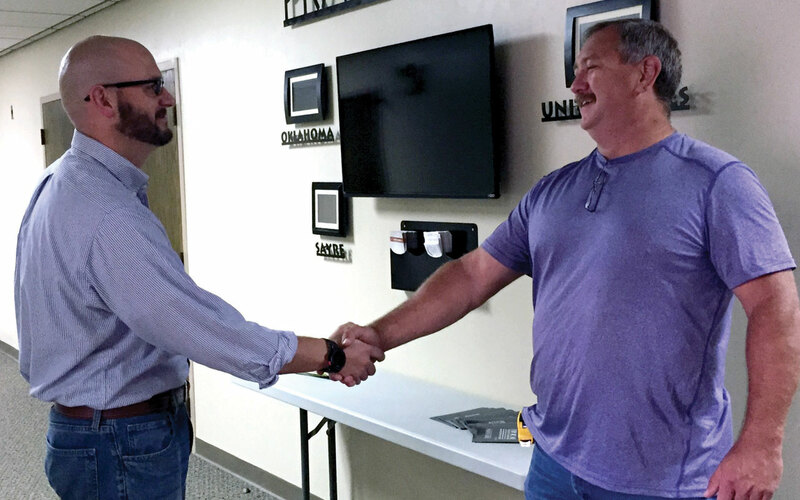 Micah Ferguson of Brandon was elected as director of strategic initiatives and Billy Young of Brandon was elected as lead catalyst, Next Generation Ministries Group. Additionally, long-term employee Steve Baumgardner was promoted in a dual role as assistant executive director/Support Services director. The remaining staff members were reassigned to newly defined roles. Statewide, 22 Board-elected employees were identified to be released from Convention employment, including five who will retire and three who will remain in consultant roles. Additionally 29 administrative approved (support staff) persons were released from Convention employment. The Board eliminated 36 Board-elected staff positions, some of which were vacant, effective immediately. Green assured the board that the displaced persons were treated fairly and generously with their compensation package. View more articles by BP Staff.